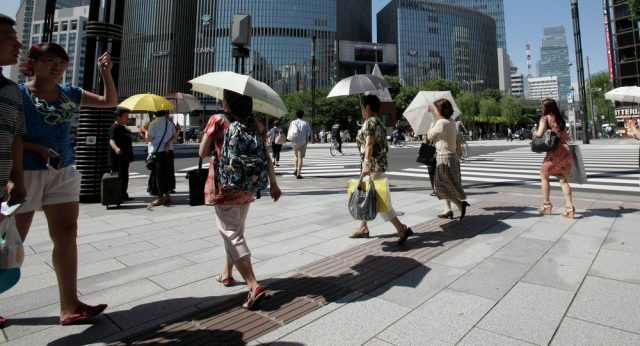 Tents, cooling fans and folding umbrellas are among proposals being considered by Tokyo 2020 officials to reduce heatstroke concerns at the Summer Olympic and Paralympic Games. It follows 96 people having died of heatstroke across Tokyo’s 23 wards in July as temperatures exceeded 104 degrees fahrenheit. The number of deaths marked a four-fold increase in comparison with the same month last year, the Tokyo Medical Examiner’s Office confirmed, and rose significantly in the second half of the month as temperatures soared. The Fire and Disaster Management Agency said that 57,534 people across the country were taken to hospitals either due to heatstroke or heat exhaustion between April 30 and July 29. This included 125 people who died. “As we are not optimistic about the weather condition at all, we are discussing heat countermeasures for the Tokyo 2020 Games with the National Government and the Tokyo Metropolitan Government,” a Tokyo 2020 spokesperson told insidethegames. Large cooling fans will be introduced depending on the expected extent of queuing in the screening areas in front of venues. Shaded areas and air-conditioned rest areas will be included at all venues and dining spaces. Drinking water and ice will be provided for athletes while they hope that 100 kilometers of roads in Tokyo will include solar heat-blocking pavements by the time of the Games. Information such as weather and heat warnings will be provided on the Tokyo 2020 website. Working hours for employees and volunteers will be controlled, particularly for those working in outdoor environments. Water and ice will be provided for both the workforce and athletes. Event schedules and session schedules will be finalised in consideration of the need to protect athletes and spectators from heat, it was added. while weather and heat information will be provided to each National Olympic Committee and the National Paralympic Committee. “This year we will continue to review a number of [additional] areas,” organizers added. “For example: more specific measures for certain venues and events; allowing spectators to bring drinks and folding umbrellas into venues; the establishment of guidelines facilitating decisions on whether to host an event or not; and the pursuit of stronger and deeper relationships with all relevant parties. Next articleCould Boxing be Dropped from the Olympics?